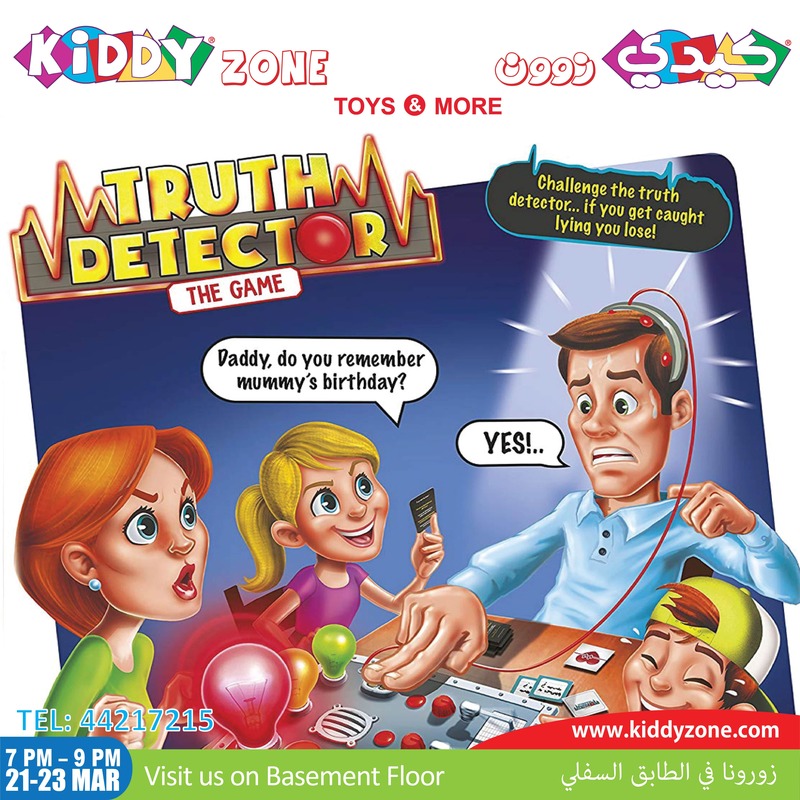 Do you dare to lie @ the “TRUTH DETECTOR GAME” !!!! Do you think you know everything about your friends and family? Put them to the test with Truth Detector! Select a question from the card and pick someone to interrogate. Watch them sweat as they put their fingers on the detector! If they’re lying the machine will let you know, but if it’s not sure and flashes amber you need to ask them the question again. If the machine catches someone lying a siren sounds and the red bulb flashes, you can’t miss it! If you tell a lie and get caught by the Truth Detector it means you lose a life. The winner is the last person left with life cards. 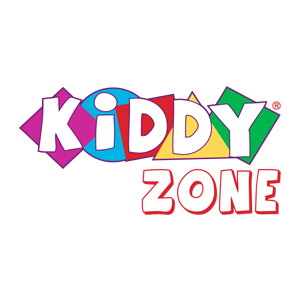 Kiddy Zone – Where fun and learning never end !!!! It’s worth the journey!!! Build beautiful memories!!! كيدي زوون – تجربة متميزة و ممتعة مع كل زيارة ….